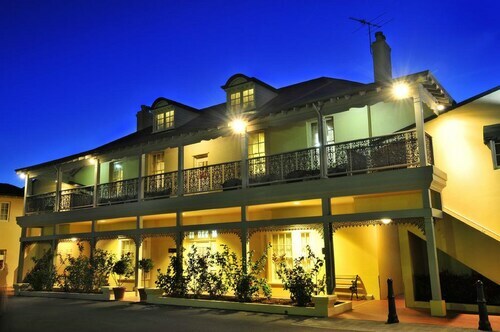 Located in the heart of Bunbury, this hotel is within 1 mi (2 km) of Bunbury Regional Art Galleries and Koombana Bay. 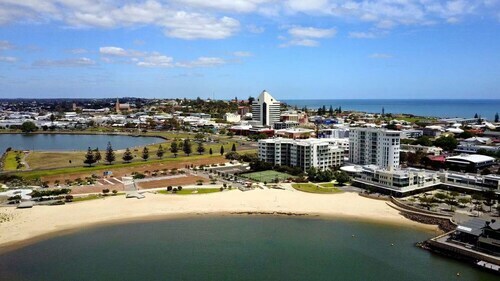 Bunbury Regional Entertainment Centre and Back Beach are also within 10 minutes. 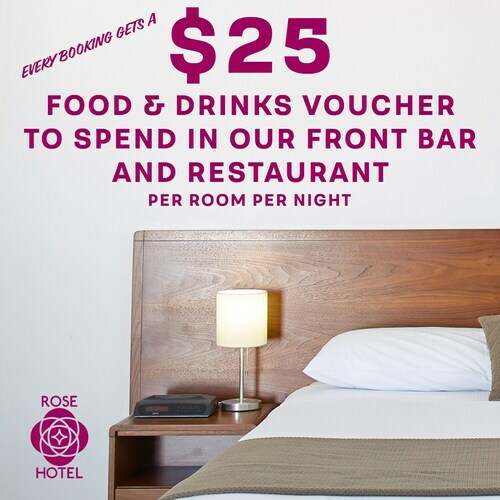 Situated in Bunbury, this luxury hotel is within a 10-minute walk of Bunbury Regional Entertainment Centre and Koombana Bay. Marlston Hill Lookout Tower and Bunbury CentrePoint are also within 10 minutes. Located in the heart of Bunbury, this motel is within a 15-minute walk of Bunbury Regional Entertainment Centre and Koombana Bay. Bunbury Regional Art Galleries and Bunbury Lighthouse are also within 10 minutes. This family-friendly Bunbury hotel is located by the ocean, within a 15-minute walk of Bunbury Regional Entertainment Centre and Koombana Bay. Bunbury Regional Art Galleries and Bunbury Lighthouse are also within 10 minutes. Eaton has a great range of hotels available, but most are outside the middle of town. However, you'll find 18 places within 10 kilometres. The Mantra Bunbury and Quest Bunbury Apartment Hotel are some good options if you'd like to stay close to the main areas. For more options, checkout the Mercure Bunbury Sanctuary Golf Resort and the Clifton & Grittleton Lodge. They are a kilometre and 7 kilometres respectively from the main center. Others include the Quality Hotel Lighthouse, 7 kilometres away, and the Hotel Lord Forrest Bunbury, 6 kilometres. Don't hit the road before checking out what you can discover in the wider region of Southwest. Take a gander at the history museums, open-air exhibits and farms. Visitors could also admire the region's rural landscapes, beaches, cliffs and rolling hills. Or join the locals mountain biking. The close by localities of Collie and Busselton are worth checking out. Collie is 40 kilometres to the east of Eaton, while Busselton is 50 kilometres to the southwest. Collie accommodations are the Collie Ridge Motel and Banksia Motel Collie. Busselton choices include the Amalfi Resort and Comfort Inn Busselton River Resort. Situated 50 kilometres away from Eaton is Brusselton Airport. Stay nearby at the Busselton Guest House or the Inn the Tuarts Guest Lodge Busselton. How Much is a Hotel Room in Eaton? Hotels in Eaton start at AU$90 per night. Prices and availability subject to change. Additional terms may apply. Great location at an affordable price. Clean and tidy. Kids liked the swimming pool. We enjoy our holiday in bunbury and plenty of activity for the kids . However the swimming pool is quite small.. Overall the property is good..